Make sure you grab a copy of Performance Auto & Sound Magazine, August 2009 issue. 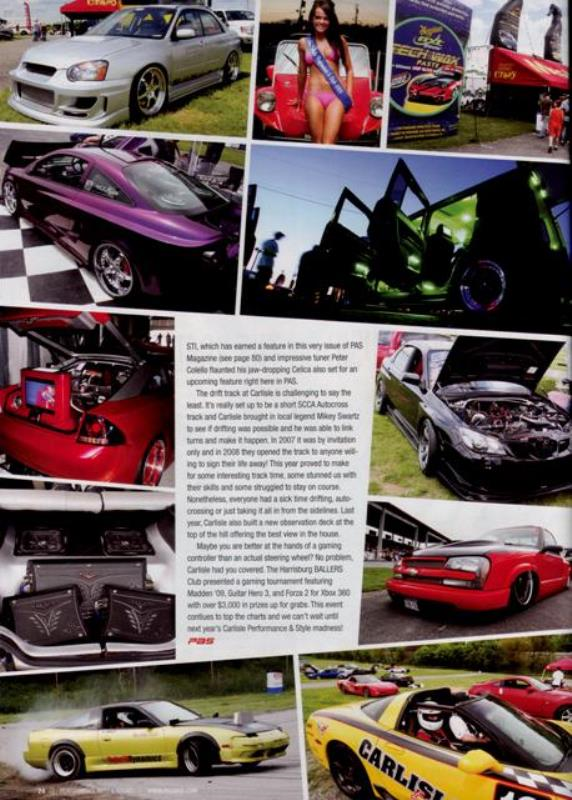 Check out the Carlisle Performance & Style event coverage, the PAS Mag booth car was Bill Vitale's Subaru STI featured on page 24. Looking to build a Mitsubishi Evolution X? Then check out the article on page 90 where the Mishimoto Evo X is featured. That's not all, for all the Formula Drift fans take a peak at the Mishimoto contest ad to find out how to win a trip to meet Chris Forsberg at final round of Formula D.